Nathan Myhrvold argues that the scientific approach of the landmark NEOWISE space-rock mission is deeply flawed. A years-long spat between asteroid hunters at NASA and multimillionaire entrepreneur Nathan Myhrvold has finally made it past peer review. Since 2016, Myhrvold has argued that there are fatal flaws in the data from NASA’s NEOWISE mission to hunt space rocks. NEOWISE has spotted and studied at least 158,000 asteroids in infrared wavelengths — more than any other project in history — and its results underpin many recent asteroid studies. NASA is working to develop a follow-up space telescope that would use the same scientific approach to fulfil a mandate from the US Congress to discover nearly all of the space rocks that could pose a threat to Earth. After 18 months of peer review, and plenty of acrimony on both sides, Myhrvold’s latest critique appeared on 22 May on the website of the journal Icarus1. Among other things, he argues that NEOWISE estimates of asteroid diameters should not be trusted — a crucial challenge, because the size of an asteroid determines how much damage it would cause if it hit Earth. NASA has yet to respond in detail to the criticisms. “The NEOWISE team stands by its data and scientific findings that have been published in several peer-reviewed journal articles,” the agency said in a statement on 14 June. NEOWISE surveys the sky from aboard the Wide-Field Infrared Survey Explorer spacecraft2. 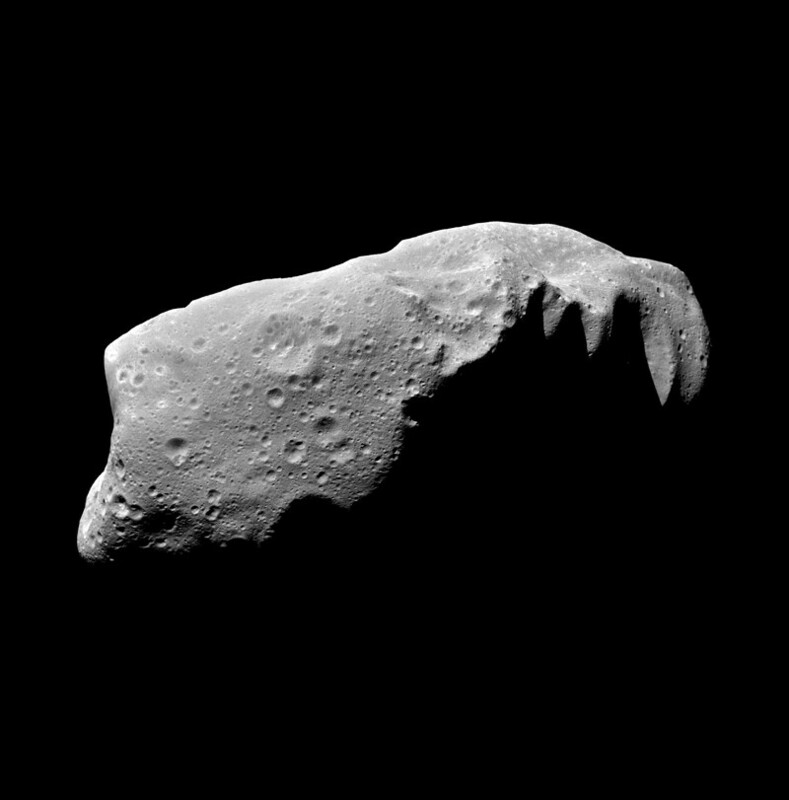 It measures the size and brightness of near-Earth asteroids in infrared wavelengths, where space rocks often shine more brightly than they do in visible light. The mission began in 2010, with a brief initial burst of data collection, before starting continuous operations in 2013. Myhrvold, a former chief technologist for Microsoft, founded the patent-buying firm Intellectual Ventures in Bellevue, Washington, in 2000; on the side, he pursues interests ranging from modernist cuisine to palaeontology. A few years ago, he began exploring ways to detect dangerous space rocks. He soon argued3 that the Large Synoptic Survey Telescope, a ground-based telescope being built in Chile, would have the capacity to find nearly all the same asteroids as NASA’s proposed successor to NEOWISE, called NEOCam. That turned his attention to how asteroids could be studied in space, and to the NEOWISE data. “I thought, this will be great, maybe we’ll be able to find some new and interesting things in here,” he says. But Myhrvold soon became frustrated with the quality and analysis of the data. He posted a critical preprint on arXiv in May 2016, and the peer-review game was on. His first peer-reviewed critique was published in Icarus in March4. In it, he explored the mathematics of how asteroids radiate heat, and said that the NEOWISE team should have accounted for such effects more thoroughly in its work. The latest paper1 holds the bulk of the NEOWISE critique. Among other things, Myhrvold argues that the NEOWISE team applied many different modelling techniques to many different combinations of data to achieve its final results. He also criticizes the choice to include previously published data on the diameter of certain asteroids in the data set, rather than using NEOWISE measurements — which, though less precise, are at least consistent with the rest of the database. Such choices undermine the statistical rigour of the database, he says. Amy Mainzer, the principal investigator for NEOWISE, has not yet responded at length. In earlier interviews with other media outlets, she criticized what she calls errors in Myhrvold’s preprint and correspondence with her team. Last week, her team posted its own preprint on arXiv5 that describes an independent method of checking the diameter errors on NEOWISE asteroids. For most objects, they say, the error is relatively small. Earlier this year, a team led by astronomer Josef Hanuš at Charles University in Prague also published6 a reanalysis of NEOWISE data on more than 100 asteroids; it found results consistent with those of the NEOWISE team. But that study examined only a fraction of the NEOWISE data set. Myhrvold is now working with Jean-Luc Margot, an astronomer at the University of California, Los Angeles, to reanalyse many of the NEOWISE data. Clarification 17 June 2018: An earlier version of this story did not specify that NEOWISE's record number of asteroid detections applied to infrared wavelengths. Myhrvold, N. Icarus 314, 64-97 (2018). Mainzer, A. et al. Astrophys. J. 731, 53 (2011). Myhrvold, N. Pub. Astron. Soc. Pacific 128, 045004 (2016). Myhrvold, N. Icarus 303, 91–113 (2018). Maisero, J. R., Mainzer, A. K. & Wright, E. L. Preprint at https://arxiv.org/abs/1806.03356 (2018). Hanuš, J., Delbo, M., Ďurech, J. & Alí-Lagoa, V. Icarus 309, 297–337 (2018).